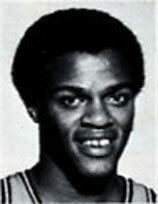 Drafted: Selected by the Chicago Bulls in the second round (33rd pick overall) of 1979 NBA Draft. Seeing all of my dads stats made my day! My dad was a BEAST on the court from the looks of things and from what I hear his he had the best pull up shot ever!!! Trying to contact Lawrence Butler concerning his younger brother Roosevelt E. Butler.He is alive and well living in Independence, Missouri.Told the staff that takes care of him about his brother the basketball player for the Chicago Bulls. Trying to get in contact with Lawrence Butler to let him know his brother Roosevelt Butler is alive and well living in Independence, Missouri. I played against LB for 6 years, eighth grade thru high school. He was unstoppable ! Had 3 pt shot been available no telling what his average would have been. I had season tickets at ISU during the Butler years. He was a joy to watch. STARTED 9TH GRADE IN 1974, BUTLER WAS THERE THEN, HE IS IN MY YEARBOOK, HE WAS THE BEST PLAYER IN CENTRAL MO. I saw him play the year he led the nation in scoring his senior year at idaho State. he was unbelievable. I just found him on Facebook. I wish I could've been fortunate enough to watch my father play ball. I was fortnuate enough to be there to watch him be inducted into the Sports Hall of Fame! Where is he now? He's enjoying retirement.